Sitting on the east coast of England, Lowestoft is a seaside town in the county of Suffolk. With a population of over 70,000, there’s a great selection of properties in the area, many of which are complemented by stunning coastal scenery. At My Home Move Conveyancing we’ve been developing our knowledge of local markets like Lowestoft’s since 2001, allowing us to bring a market-leading conveyancing service to our clients in the area. If you’re looking to buy or sell property in Lowestoft, you’ll need to instruct property lawyers to carry out the legal work on your behalf. 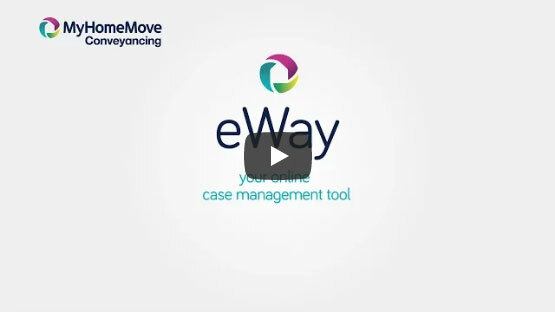 As your Lowestoft conveyancers, My Home Move Conveyancing can bring you an award winning level of customer service, innovative use of technology and expertise of the local area. Our fixed fee conveyancing service has no hidden costs, so you’ll know exactly how much you’re going to pay from the outset. For added peace of mind, if you don’t end up completing for some reason, you won’t have to pay us a penny in legal fees. We’ll assign you a dedicated conveyancer, who’ll look after your case from start to finish. We keep the legal process nice and simple, and we’ll keep you informed with clear, easy to understand updates. You’ll also have online access to your account, meaning you can check up on things 24 hours a day. At My Home Move Conveyancing we’re proud to supply our conveyancing services in Lowestoft to customers looking for something close to the town centre, around the harbour, near the train station and in neighbourhoods like Kirkley with its sandy beach and fabulous access to the coast. The average house price in the district of Waveney is £177,842, while the overall sale price in Lowestoft itself averaged at £164,799 over the last year. Terraced properties were involved in the most sales, going for an average of £121,743, while detached homes fetched £235,040 and semis £160,748. The land that Lowestoft covers today has traces of human settlement which date back thousands of years, making it one of the earliest known places where humans in Britain lived. The town eventually grew up around its fishing industry, and has long been a significant port and popular seaside resort. With sandy beaches and plenty of tourist attractions, there are plenty of amenities to satisfy the residents too. Due to its coastal position, transport links in Lowestoft can be limited. There are no motorways nearby, so you’ll have to rely on roads like the A12, which runs along the coast towards the towns of Great Yarmouth and Ipswich, and the A146 which heads inland to Norwich. Direct train services to Norwich take around 45 minutes, while it’s double this to get to Ipswich. There’s plenty of schools in the local area to choose between for your children, including Roman Hill Primary, St Margaret’s Primary and Poplars County Primary for youngsters. Secondary options include Pakefield School, Ormiston Denes Academy and East Point Academy, while the Benjamin Britten Music Academy is named after the famous composer who was born in Lowestoft. For higher education facilities, Lowestoft College has a good range on offer thanks to an affiliation with University Campus Suffolk. All properties in Lowestoft will fall within one of the following council tax bands.